You ever stop to consider how many versions of Batman are running around in your head? Almost irrespective of how many/which Batman stories you've actively sought out over the years, there's bound to be at least a few distinctly different versions up there. Those are just the ones I'm familiar enough with to recognize easily. But they all inhabit my brain, and inform what I think Batman is supposed to be. Some of the imagery I accept, some I discard. I have to, since many of these ideas of Batman are at least partially contradictory. In my case, the "New Look" and Keaton versions of Batman are the strongest, with the Dark Knight running a close third. 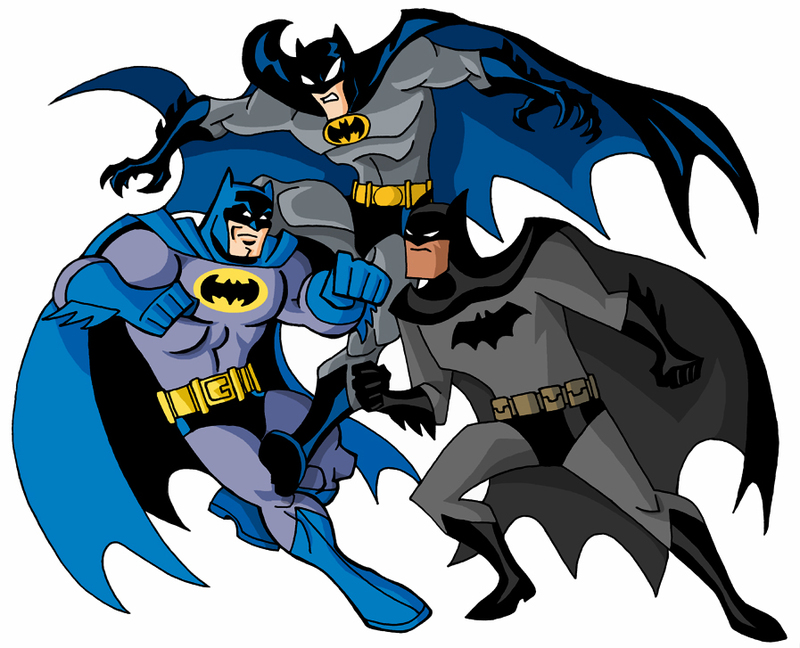 Consequently, I think of Batman largely in terms of how he was depicted in the comics in the 1970s, with his Bruce Wayne persona largely informed by Keaton's performance. The Dark Knight angle just punches up his raw power a bit, so he's a little more willing to brawl than the karate expert I grew up with. That's who my Batman is. And yet, I'm still able to keep all those Batmen separate in my head. I can sit and watch one of the cartoons or read through DC Free Comic Book Day offering and not get bothered by the fact that this Batman doesn't precisely match the one in my head. The closer he does come, of course, the more inclined I'll be to become engaged with the piece and enjoy it. The further from my version, the less likely I'll care. I think it's a fascinating prospect, though, that I can juggle distinctly different versions of one character in my head and actively keep them all separate while at the same time amalgamating them into a sort of gestalt Batman. And there's also the Batman: The Animated Series version of the character, which is perhaps the Batman that I've enjoyed the best.